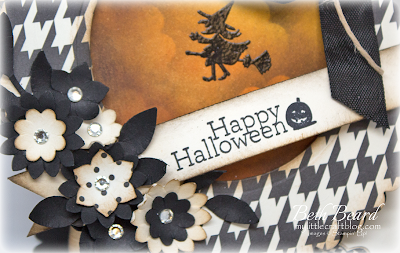 Here's a sneak peek of my card for the Pals Blog Hop tomorrow. It's a Halloween Hop, so do you know what that means? We're sharing tricks and treats! You won't want to miss this hop! Enjoy Stampin' Up! exclusive resources and discounts through April 30, 2014, with no obligation to purchase anything further. Reach $300 in sales by March 31, 2014 and renew an additional quarter (through June 30, 2014). There's NO penalty to drop. In fact, you don't have to do anything to drop! Just stop placing orders. But wait, there's still more -you will also get two FREE months of Demonstrator Business Web Services (DBWS) to try out if you would be interested to sell on-line. Purchase the kit through me and you'll not only be able to enjoy Stampin' Up! discounts and benefits, but you'll become a member of a community of great friends & creative fun! Click here to purchase the the Stampin' Up! $ 25 Starter Kit.